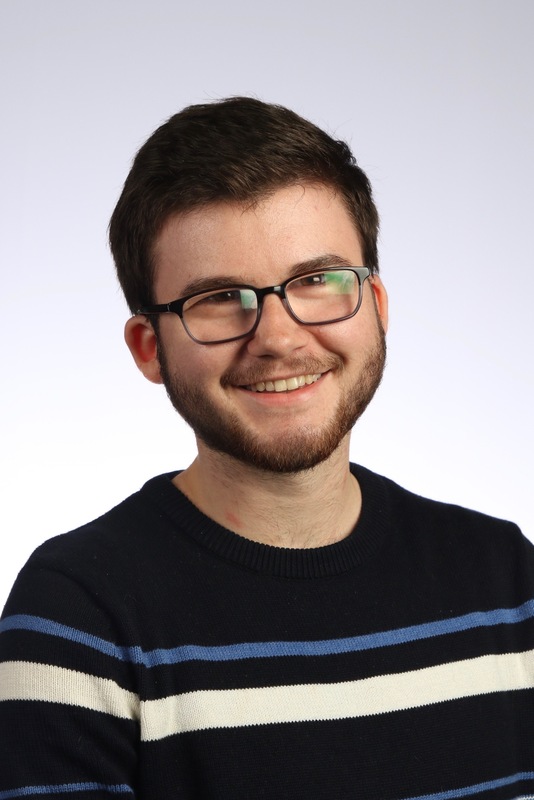 I am a first-year graduate student at Harvard studying transient host galaxies and supernovae with Prof. Edo Berger. You can find my CV here. My current work focuses on modeling hosts of superluminous supernovae and other transients, as well as working with GW170817 photometry. I did my undergrad at the University of Washington where my ongoing research focused on the supernovae-rich host galaxy NGC6946, and on developing sonification tools to audibly classify supernovae lightcurves. Former research projects encompass OB stars within the LMC with Prof. Philip Massey, Milky Way open cluster metallicity with Prof. Ana Larson, and the intergalactic medium using Hubble COS spectra with Prof. Jessica Werk. Prof. Emily Levesque and my project ultimately aims to determine what makes the progenitor environments of galaxies so prone to high CCSN production. Using slit spectra from the APO 3.5m DIS instrument, our 52 different slit positions have yielded metallicity profiles at more than 100 different sites across the galaxy. Play with NGC6946's observed metallicity profile in 3D here. I developed the Apall Multi-Slit Extension code for automated aperture extractions on reduced and calibrated slit spectral data. A Spectrophotometric Survey of the Supernovae-Rich NGC 6946 Galactic Host Environments is set to be published this winter. This work was presented at the American Astronomical Society 231st Meeting, thanks to support from an AAS FAMOUS Travel Grant. 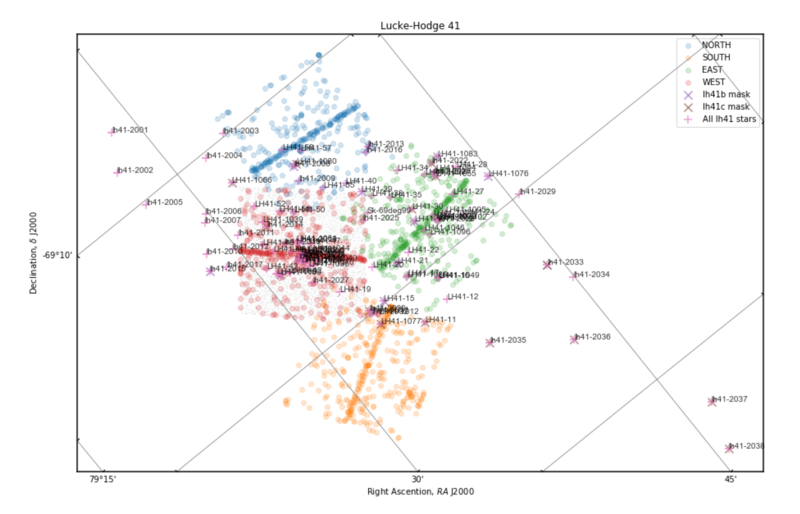 Using Hubble WFC3 Photometry and MaiGE and IMACS multi-slit spectra from the 6.5m Magellan Telescope, I determined the effective temperatures and luminosities of ~40 OB stars within LH-41 in the LMC, working with Prof. Philip Massey at Lowell Observatory. Furthermore, I modeled mass loss rates and surface gravity using FASTWIND and developed a program to match star locations to Hubble field photometry. 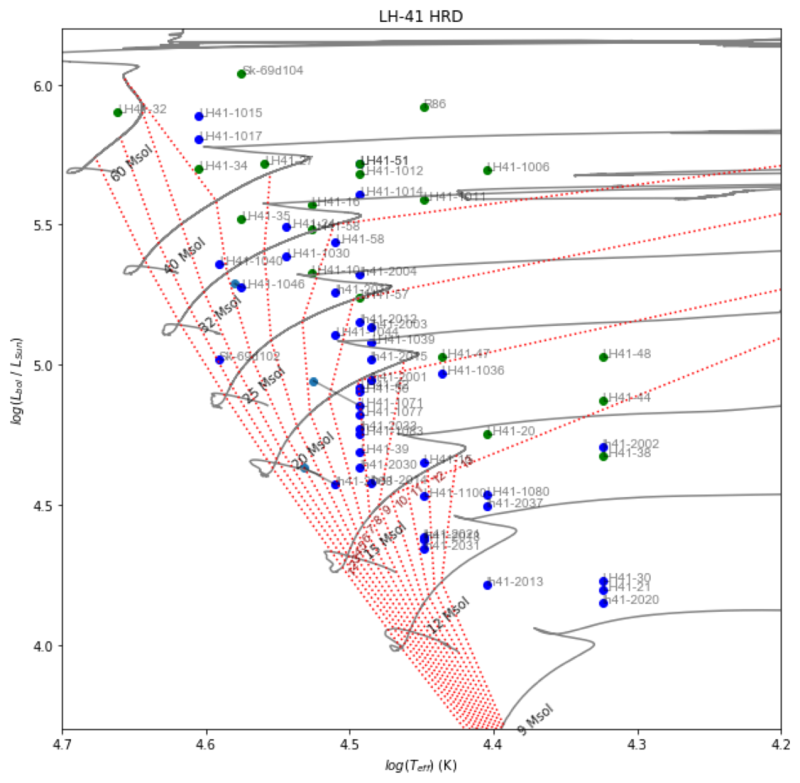 Our initial Hurtzsprung Russel Diagram showed that LH-41 housed a population of massive O and B stars that were not in fact coeval. 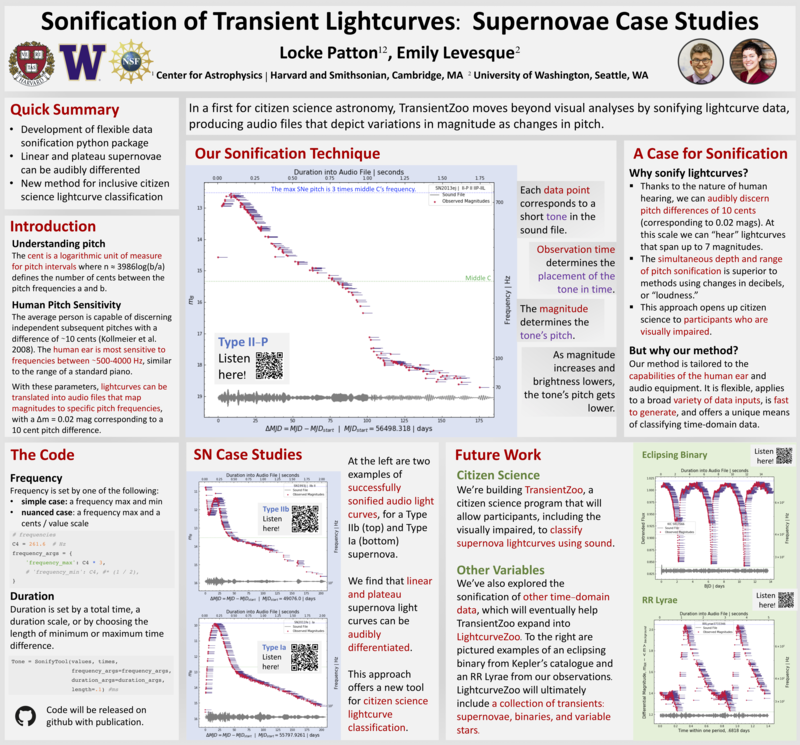 Prof. Emily Levesque and I are building TransientZoo, a citizen science program that will allow participants, including the visually impaired, to classify supernova lightcurves using sound. In a first for citizen science astronomy, TransientZoo moves beyond visual analyses by sonifying lightcurve data, producing audio files that depict variations in magnitude as changes in pitch. Listen to SN2013ej here! Our sonification code is up and running, and will be published on github soon. Find a detailed twitter thread here with more examples. This work was presented at the American Astronomical Society 233st Meeting, and won a Chambliss Graduate Prize.